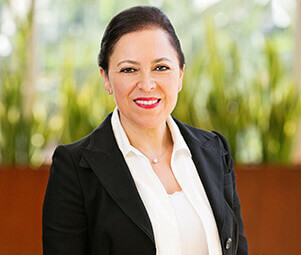 Elle Ebizadeh is an integral client advisor for the Matthews™ Multifamily division. Elle specializes in multifamily investment sales and analysis in Ventura and Santa Barbara County. . Elle began her passion for real estate in 2004 by investing in commercial and multifamily in Los Angeles, Ventura County, and Arizona. Elle’s previous training in structural spatial relationships significantly contributes to her ability to strategically guide her clients. Through her keen business experience and knowledge of sales strategy, Elle brings unique and valuable insight to both the establishment and maintenance of relationships necessary to ensure her clients exceed their goals in investing in commercial real estate in any market.